Ever get tired of working for someone else? Owning your own business definitely has its own advantages. The most obvious benefit is that you can be your own boss. Having choices means that you get to make the decisions. Sure, you will have customers that you will ultimately answer to, but if you do a great job and treat people right, that won’t be an issue. One of the top benefits of owning a small business is that you will get to help people. It can be very fulfilling to be an active and respected business owner that creates jobs in the community. Owning your own business is also a chance for you to build something and live out your dreams. The freedom can create flexibility in your lifestyle. You can set your own schedule and take a long weekend or a vacation when you want. Owning your own business can also be a great second career for someone not quite ready to retire. A thriving company can also provide residual income when you do retire. Speaking of income, there is a good chance that you can make the most money of your life by starting your own company. You might not get rich, but owning your own business opens up the possibility of making more than you could possibly make as an employee. WHAT ARE THE BEST TYPES OF BUSINESSES TO START? According to studies done by the Franchise Brokers Association, the cleaning industry is the third most popular type of new business startup in all the business world. Cleaning companies provide an invaluable service to consumers, making sure that buildings are sanitary and in good condition, and there is always demand for the services. One of the first things a prospective cleaning business owner needs to do is to decide which of these services that they are going to specialize in, as there are also many divisions of specialization within the cleaning industry. Businesses can offer both residential and commercial maid service, carpet cleaning, or upholstery cleaning. They can focus on windows, construction clean-up, restroom cleaning and restocking, tile and grout cleaning, or pressure washing. Others can cater to the rental industry and offer move-in or move-out cleaning. There are many other considerations as well, which poses the following set of questions about opening your own business. Starting on your own is not easy. Here are a few of the things that a person should take into consideration before starting their own cleaning business. Some of the many considerations of running a new cleaning business include renting the right location, paying the rent, getting the right vehicle, buying equipment and supplies, learning the proper ways to clean, creating business forms, keeping the books straight, selling jobs, pricing jobs, figuring overhead, the right insurance, a bank account, a business license, employee bonding, finding a target market, the tasks of advertising, hiring and handling employees, and billing and collecting from customers. 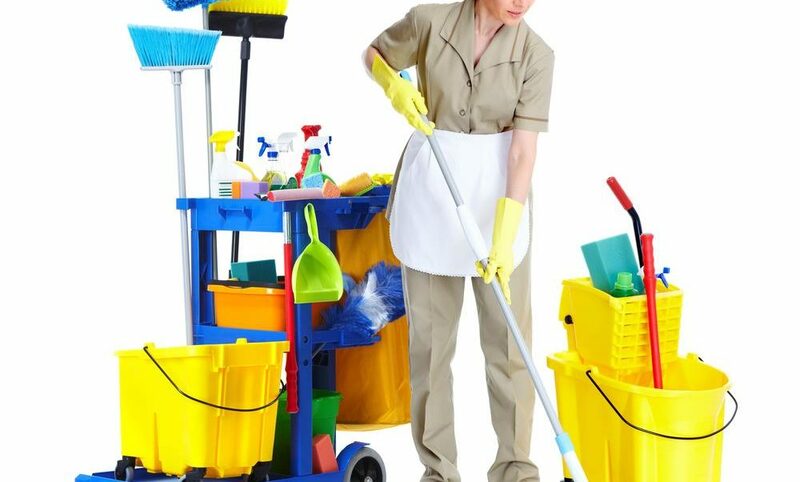 The necessary qualifications depend, of course, on the type of cleaning service you decide to start, but you need to know something about cleaning. You also need to have the determination to make the business work, a willingness to please the customer and the dedication to do good work. Do you have the resources available to you? Who do you go to when you have a question? How do you solve a particular problem the first time you run into it? Do you have an idea of how to overcome the initial hurdles and maintain enough momentum to successfully grow the business? Do you know how to establish yourself as a trusted company? Where is your customer base going to come from? Are you willing to take the gamble that you know all of these things or can figure them out? If the idea of starting from scratch is starting to make you jittery, then franchises can be a better way to go. The main advantage to going the franchise route is the fact that you will be operating under a brand that has been proven to be successful. All of the kinks should have been worked out already. There should be a system in place for everything that you need to get started. The equipment lists, supply lists, methods of cleaning, checklists, billing and estimate forms– everything you need to know to be successful should all be there at your disposal. There should certainly be someone to ask advice on every question that you might have. A good franchise should offer training in every facet of the cleaning business. After all, the franchise fees that you pay should be there to help the franchisor pay for the staff and programs they use to provide ongoing support to you. OTHER ADVANTAGES OF A FRANCHISEFranchises are also less expensive to start than a going out on your own. It is also easier to get financing for a proven franchise. You will also have access to a loyal and established customer base. Franchises can also help you to establish your advertising and marketing plan, help you train your staff, and more. WHAT SHOULD THE BEST CLEANING COMPANY FRANCHISE OFFER? 1) Look for an all-inclusive company that can teach you to do every type of cleaning. 2) One that does hands-on training with actual cleaning personnel, on the job site. 3) A company model that has been proven for years and has a lot of experience. 4) High level of access to support, including at night and on weekends and holidays. 5) A franchise that allows you to be in business FOR yourself, but not BY yourself. If you need a recommendation for a cleaning company franchise that offers this level of support and service, Broom Hildy is just a phone call away! DOES YOUR BUSINESS NEED A RESTROOM CLEANING AND RESTOCKING CHECKLIST?